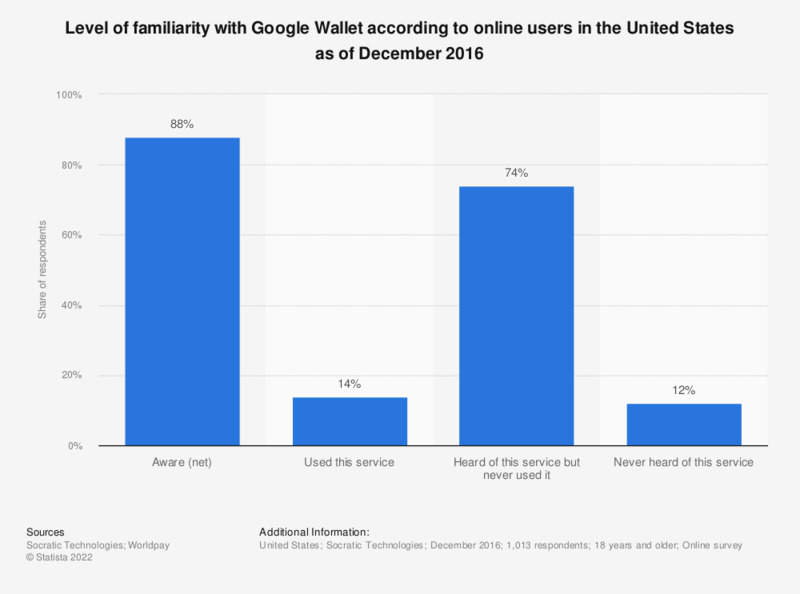 This statistic gives information on the level of familiarity with Google Wallet according to online users in the United States as of December 2016. During the survey period, 88 percent of respondents were aware of the digital payment service but only 14 percent used it. Question: Please indicate your level of familiarity with the following digital payment services. Have you used Apple Pay in any of these stores? Which of the following would you be open to using mobile wallet for, on your smartphone or smartwatch?